Here at Dynamic Roofing Concepts, we believe that our roofing repairs and replacements should stand the test of time. When you invest your hard earned money in a new roof for your home or business, you should count on high quality products installed by a professional roofing company in Tampa FL or any of the surrounding cities. All of our products are installed by professional roofers to lengthen the warranty and the life behind our work. When you need maintenance, repair or replacement for your roofing in Brandon FL or any of the neighboring cities, come to us first. We are confident that our work will be done right, and that it will last. To show our commitment to great quality and customer service, we offer warranties on our products and our work. We believe that our roofers are the best at what they do, and we stand behind this belief with an impressive warranty on both products and workmanship. Our prices remain affordable even as we commit to doing a job that will last almost as long as you live in your home. Don’t take chances with your roof. Simple problems can be fixed easily, or they can lead to bigger problems down the road when they are ignored. We are here to ensure that your roof is in great shape all the time. 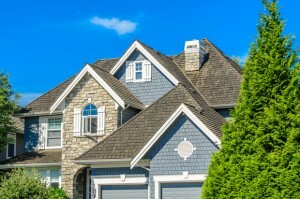 Whether you need a leak repaired, or an entirely new asphalt shingle roof in Carrollwood FL or any of the neighboring cities, come to us first. We know you have choices when it’s time to choose a roofing company, and we are committed to keeping all transactions honest and transparent so you know just what you are getting. Call us today at 813-257-9355 for a free estimate, and to learn more about how we will earn your trust and become your preferred roofing company.